It’s likely if it is hot and there is a drought that a fine lawn will suffer stress and quickly turn brown. While your neighbour’s, which comprises tough old grass and clover is surprisingly green. 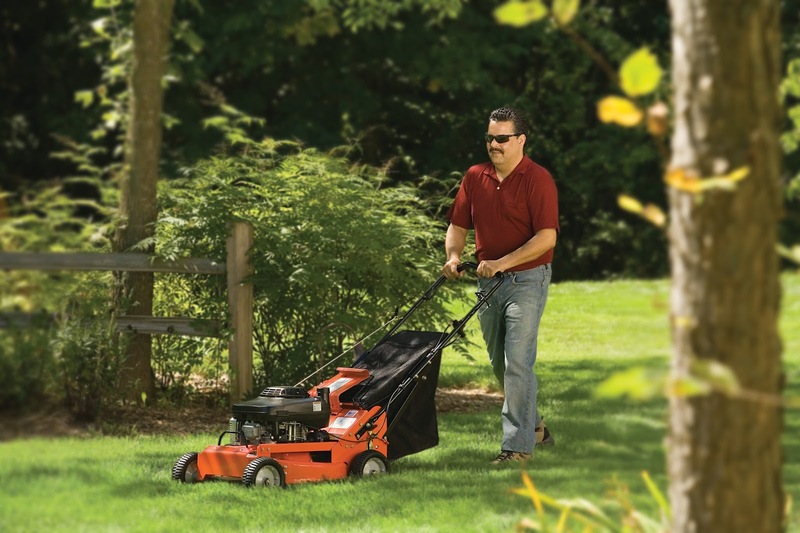 They say the grass is always greener...but don’t worry, raise the cutting height of the mower, mow less frequently, remove the grass box or collector from the garden tractor, leave the clippings on the lawn...well we went over that last month so we won’t repeat any more. Let’s think about how the grass can be improved for next year. It may be that when the lawn was first sown or turves laid the soil preparation was poor or frequent close mowing has affected the grass. Watering is a short term solution. What’s best is, come the autumn, get spiking and aerating the lawn. You can do this with a walk-behind machine or use an attachment for the garden tractor. Then you can add organic matter in the form of sieved garden compost, raking it into the grass. This will help to retain moisture at the roots. Again, in the autumn, you can give the grass a feed, watering it in if there’s no rain. Follow the same regime in spring next year. For now though, you can give the grass a liquid fertiliser if there’s no rain forecast and you can’t water in a granular tonic (e.g. if there’s a hosepipe ban). If it is very dry you may have some persistent weeds and you need to deal with these before they seed. Dig them out with a small trowel or fork if there aren’t too many and patch with some grass seed mixed with compost, then water with a watering can. If there’s a lot of weed wait until September to give a weed and feed treatment.